Now that Apple has scored a decisive win over Samsung in its smartphone patent trial, the big question is whether the maker of the iPhone and the iPad will go after the real enemy: Google. The search company is the maker of the Android software underlying Samsung’s and many other companies’ mobile devices, after all. * Apple’s schoolyard bully strategy of going after the legal weaklings like Samsung worked like a charm, so it’s likely to continue going after hardware firms such as HTC and the now Google-owned Motorola Mobility, rather than Google directly. There are many other cases involving those companies, as well as Samsung, around the world–plenty to keep Apple busy, especially now that it has such a clear victory to build upon. * Other hardware makers may now decide to settle with Apple, ratcheting down the need for Apple to go after Google. Analyst after analyst notes that with the clear loss for Samsung, the leader among Android device makers, other firms may decide it’s not worth continuing a fight they now seem more likely to lose. 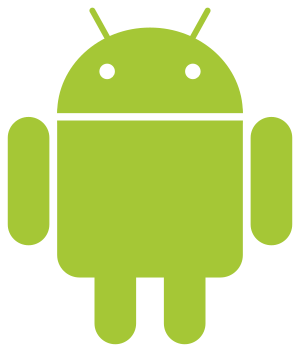 What’s more, Google doesn’t charge hardware companies for using Android, relying instead on ad revenues derived from Android device use, so there may not be much for Apple to sue about. Finally, let’s not forget that Android existed well before the iPhone came out–in fact, Google bought the company that made it in 2005, two years before the first iPhone. That doesn’t guarantee that whatever Google has done with Android since then is on firm patent ground, but it doesn’t seem a stretch to cast doubt in a jury’s collective mind that Android is simply copying iOS when Android the company clearly predates the iPhone. Not least, Google has pockets deep enough to counter whatever legal threats Apple throws at it. Indeed, this ruling could well galvanize Google’s mostly passive efforts so far to protect Android hardware licensees. Apple may get all it wants from going after hardware producers, given that Apple makes most of its money from hardware itself. * Google itself may start talking with Apple about some kind of way to avoid litigation. Wells Fargo Securities’ Maynard Um told investors in a note today that the $250 million or more that Apple could get in licensing fees from Samsung–not to mention additional fees from other device makers that may settle or lose in court as well–would be significant enough for Apple to be worthwhile. Add Google in there, and it may be a cash flow Apple can’t resist. After all, it apparently already offered a royalty deal to Samsung, whose rejection led to Apple’s suit. This entry was posted in Android, Apple, Google, iPhone, mobile, smartphones, Steve Jobs, tablets and tagged Android, Apple, Google, IOS, IPad, iPhone, mobile, Samsung, smartphones, Steve Jobs, wireless. Bookmark the permalink.